*Authorized Napoleon Dealer* C. Bennett is a family owned and operated business that has been serving the Midwest for over 30 years. We are proud to serve the needs of the professional builder, remodeler and local homeowners. 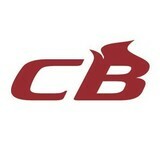 C. Bennett distributes hearth products over a ten state area, so we have a very large inventory to cover our customer’s needs. Our company is successful because of our people. We have great people, quality products and reliable service. We strive to be “Easy to do business with”. We want your experience to be positive and stress free. We install & service everything we sell. Visit our newly remodeled showroom! See for yourself how our product line continues to grow by researching trends, improving our products and listening to our customers. Green Business Practices “Green” practices like recycling and energy conservation are good business practices. Not only is C. Bennett helping the planet by recycling scrap metals, mirrors and glass — we are also helping our bottom line. By passing on (or “recycling”) those savings, our customers benefit by getting high quality products at the lowest possible prices. Additionally, by offering a single source approach for fireplaces, surrounds, mantels, shower doors, mirrors, shelving, custom closets, door hardware and bath accessories C. Bennett Building Supply minimizes the number of trips to our customer’s jobsites. This “single source” approach requires fewer miles to be driven by our installers. Subsequently, C. Bennett burns less fuel per new construction unit built because we can do more installations per trip than our competitors! From residential to commercial glass services, Metropolitan Glass Company offers custom glasswork for homes and businesses. Whether it's a sophisticated mirror installation that upgrades the look of your home or a window replacement that preserves the appearance of your business, glass is a beneficial and necessary component of any property. 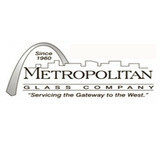 And no one knows glass repair and replacement better than Metropolitan Glass Company. We've been an established glass business for over 50 years! No project is too detailed for our expert crew, who can also assist with all your tempered glass and safety laminate needs. No one in the area knows glass repair and replacement better than our specialists. Interested in learning more or need a glass expert in St. Louis? Give us a call or visit our showroom to view product samples. Your home is your biggest investment, so why not protect it all around? Window tinting is a phenomenal way to protect your home with privacy, cut down on solar rays that can damage upholstery of furniture, as well as cutting down on energy costs during those hot summer months. 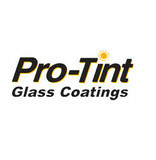 Trust our experts to professionally install stylish, protective window tinting. We stick to only the finest products for your benefit; 3M and Solar Gard films, Solyx decorative film, and B & W window shades. We are proud to be an authorized 3M dealer serving the St Charles and St. Louis area. J & M Glass, Inc. is a locally owned and operated glass company serving the Riverbend area and beyond. We have two locations to serve you - Jerseyville and Wood River, Illinois. We offer free mobile services and free estimates. Our customers are our #1 priority and we go above and beyond to guarantee your satisfaction. Our work carries a lifetime guarantee against stress cracks and leaks. We are fully insured and offer fast, convenient, expert installation on all of our products. What can a local St. Louis glass company help me with? If it’s a major home glass repair or replacement, the St. Louis glass company should work directly with your insurance company to help bring down costs for you, if applicable. Find St. Louis glass companies on Houzz. Narrow your search in the Professionals section of the website to local glass, mirror and shower door services in St. Louis, MO and read reviews and ratings to find one that fits your needs.